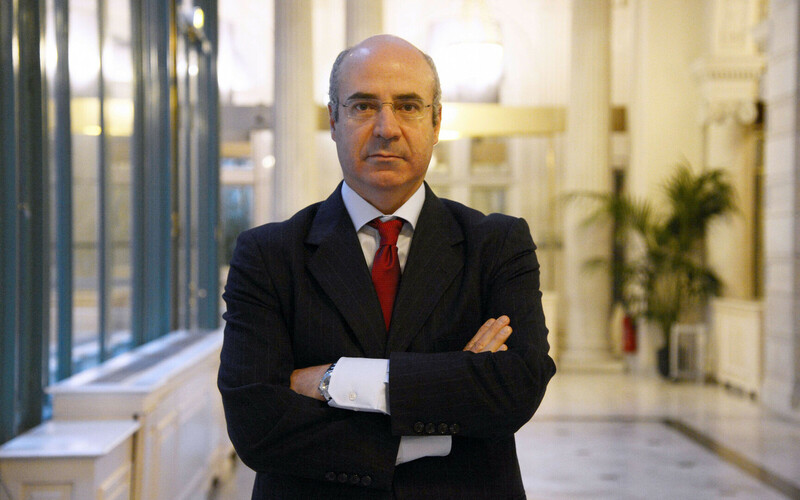 British-American investor Bill Browder has filed a criminal report concerning the Estonian branch of Swedbank. Mr Browder, CEO of Hermitage Capital Management investment fund, on Tuesday filed the report on Tuesday with both the prosecutor's office and the Financial Intelligence Unit (FIU) of the Police and Border Guard Board (PPA). According to BNS, Mr Browder's report requested the two authorities investigate Swedbank's bank documents and bank accounts regarding suspicious money flows to it from Danske Bank and Lithuania's Ūkio Bank. Around €200 billion in potentially illicit funds is thought to have passed through Danske's Estonian branch over the period 2007-2015. Ūkio Bank became defunct in 2013 and has reportedly been linked with potential money laundering activities as well. Added to the statement were seven documents that described the content of the suspicious transactions and the companies that made the transfers, daily Postimees reports. In July 2018, Mr Browder asked for a criminal investigation to be launched against 26 employees at the Estonian branch of Danske, who allegedly enabled the laundering of billions of dollars of potentially illicit funds, mostly originating from the Russian Federation, via the bank. This complaint cited at least 190 different bank accounts, 21 of which had seen transactions in excess of US$9 billion. The Estonian branch of Danske has been ordered by the Estonian Financial Supervisory Authority (FSA) to close down this year. According to Browder's statement, a total of US$14.2 million moved from Danske to Swedbank and US$102.7 million from Ūkio to Swedbank, the Estonian daily reported. The report also enumerated some of the most significant recipients of money from suspicious Danske accounts, BNS says, including Rickam Worldwide Corp., a company registered in the British Virgin Islands which received €3.6 million into its Swedbank account from five bank accounts connected with illicit activities uncovered by Sergei Magnitsky. Mr Magnitsky was a Russian national and an auditor who had worked for Mr Browder. His death in custody in 2009 after 11 months imprisonment in Russia has raised human rights concerns and led to the US ''Magnitsky Act'' of 2012, signed into effect by then-president Barack Obama and aimed at punishing Russian officials responsible for the death of Mr Magnitsky. 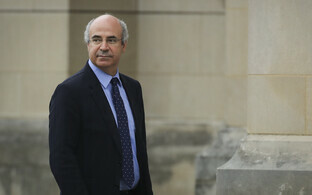 The total sums involved in Mr Magnitsky's investigations has been put at US$230 million. The descriptions of the payments made to Rickam included the terms "equipment" or "electronic equipment", Postimees reports. A second example customer is Phone and Equipment Ltd, also registered in the British Virgin Islands According to Mr Browder, the Swedbank account connected with this customer received payments from two Danske accounts linked in the Magnitsky investigations. One of these Danske accounts pertained to Arrel Trading, a company with ties to a significant link in the money laundering chain, Arkadi Lebedev, according to Postimees. Lebedev is a Russian citizen who was a co-owner of Intercontact bank in Russia. Intercontact was the first bank that had its banking license taken away by the Russian Central Bank, reportedly for involvement in suspicious cash flows fuelled by payments for fictitious imported goods. Additionally, payments to Phone and Equipment Ltd's Swedbank account have been made by several companies linked to Lebedev, who held had several bank accounts at the Estonian arm of Danske. Money was also paid to the Swedbank account by Moldovan missing trader Elenast-Com, also linked to the Magnitsky investigations by a large Moldovan state-owned bank, Postimees said. Even larger transfers were made to Swedbank Estonia from allegedly suspicious Ūkio Bank accounts, including Esterson Enterprises SA, registered on the island of Nevis in the Carribbean, received transfers in the total amount of US$35 million. All payments to the company's account were made under the description "electronic equipment". More specifically, Esterson in 2009 received a payment of US$15,813 from the account of Altem Invest Limited, Postimees said, a Cyprus registered company being investigated by the head of an organised crime group of Russia, Dmitri Klyuev, who is under the sanctions of the US Department of the Treasury. DLT Trading Ltd and Alliance LLP, companies registered in the UK, also received large sums from the suspicious accounts at Ūkio Bank. 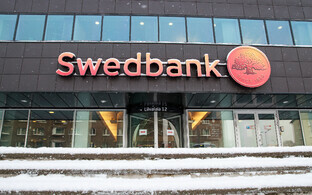 The documents submitted by the companies lack the cash flows in question, but at the same time have received large transfers to Swedbank accounts. 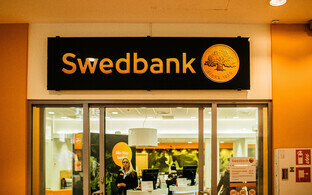 On 4 March, Mr Browder filed a report of criminal conduct against Swedbank with the Swedish authorities, but that country's economic crime unit decided not to initiate an investigation. 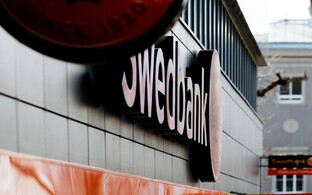 On Tuesday, 3 April, personnel from the Estonian FSA conducted on-the-spot checks at Swedbank's Tallinn headquarters. Bill Browder was refused entry to the Russian Federation in 2005 after around a decade of working there. He reportedly relinquished his US citizenship in 1998 to avoid paying taxes related to foreign investment, becoming instead a UK citizen.